This week I've been sharing my "this leads to that" creative process and this card represents the end of the chain. 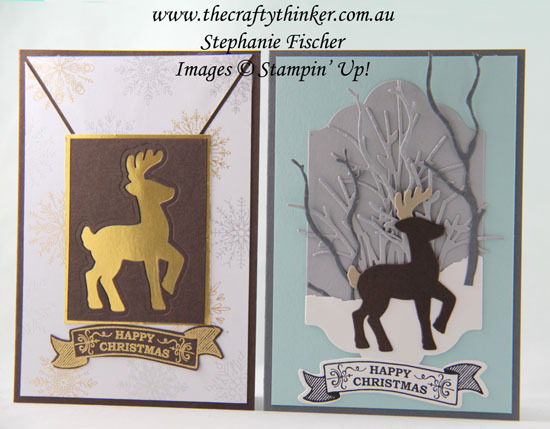 On Wednesday I shared a card for which I cut a reindeer from Early Espresso cardstock - well this is what happened to the negative piece - a little bit of gold turns negative to positive! It's always good to have a bit of gold at Christmas! 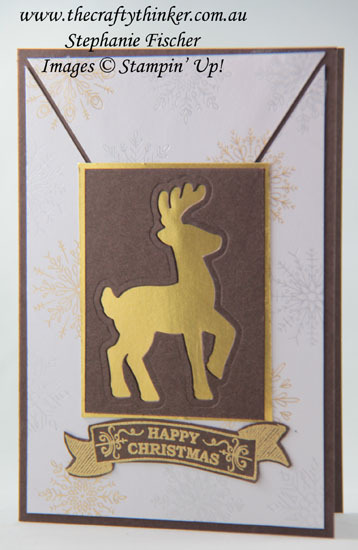 I simply laid the Early Espresso piece on top of a piece of Gold Foil Sheet and placed it onto my card. 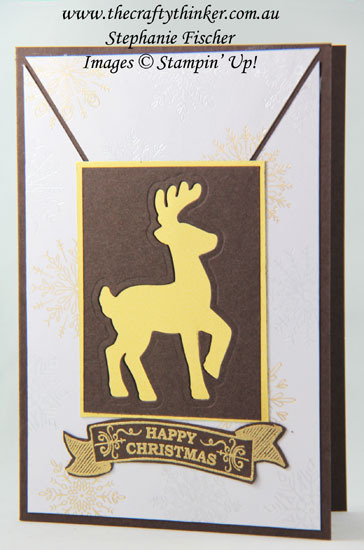 I gold heat embossed the label from Seasonal Bells and cut it out with the coordinating die in the Bunch of Banners Framelits. I also took the opportunity to use up a piece of the Year of Cheer Specialty Designer Series Paper. I'm not sure where I was going with the diagonal cut at the time but I used it in this card by simply gluing it to the Early Espresso base card. Here are the two reindeers reunited!